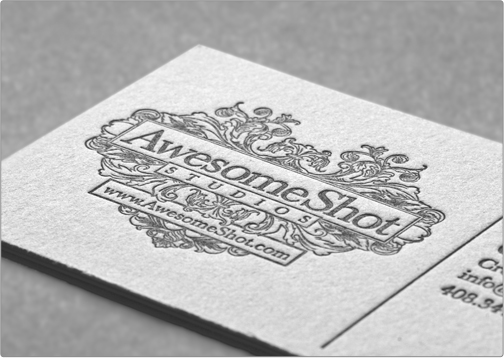 This Cotton Card was designed for Awesome Shot with a minimalist and artistic edge. The card displays a single color (black) palette. 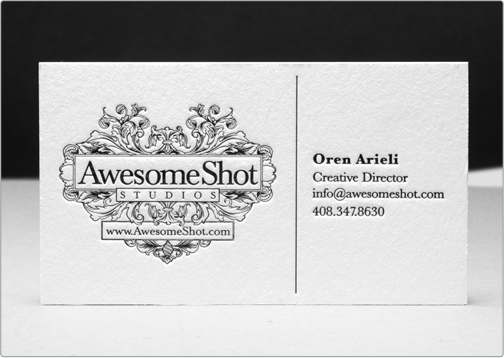 The single sided cotton card contains a heavy deboss for texture, class, and definition.